The year 2016 is finally here and we are enjoying getting settled in the new year at deBebians. I shared my predictions for 2016 engagement ring trends earlier, so I thought it would be fun to also predict the trends for women’s wedding bands for this year. We have been incredibly busy with adding new and exciting wedding bands to our site, some of which may have made it onto this list. 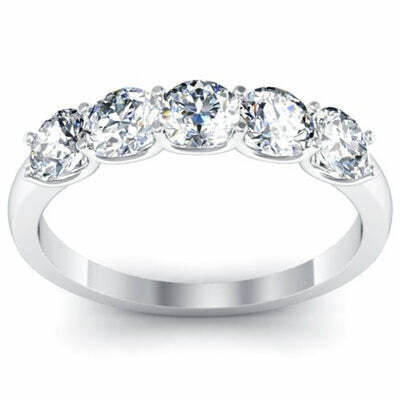 5 stone u-prong diamond ring, style # 5UDR-100S. A 5 stone diamond ring is one of the most traditional wedding band styles for women. We carry a wide variety of carat weights, diamond qualities, and setting styles from which to choose. 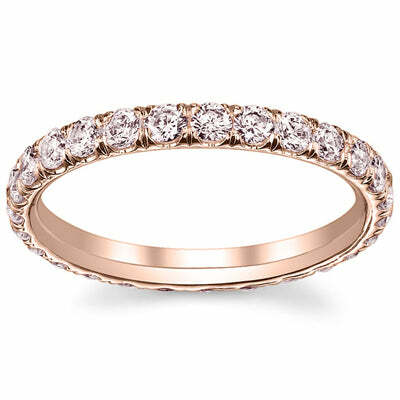 Pink diamond u pave eternity ring, style # PDR-01. White diamond eternity rings will always be popular choices for wedding bands. However, I think that there will be an increase in colored diamond and gemstone eternity rings. These rings may be worn alone, paired with an engagement ring, or stacked next to other styles of eternity bands. Scalloped diamond wedding ring, style # DWB-44. 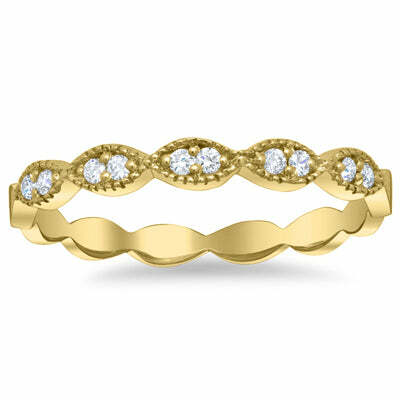 My final prediction for 2016 women’s wedding band trends is affordable diamond wedding rings. We have added a large selection of rings that are incredibly inexpensive. These rings are masterfully created and are perfect to be worn in a unique ring stack. Do you agree with my predictions? Let us know what you think in the comments section of this post.